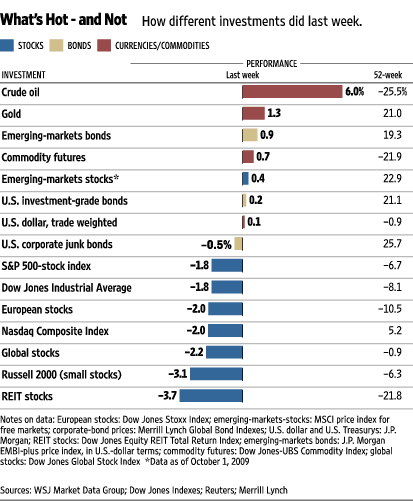 Here is last week’s performance of different major global financial markets. As the chart above illustrates, Crude oil was the dominating asset class during the week — in terms of positive returns — gaining 6.0%, followed by Gold, EM Bonds, and Commodity Futs, 1.3%; 0.9%; and 0.7%, respectively. Unlike previous weeks, where REITs have performed convincingly, this week the asset class shed 3.7% of its value, followed by R2K, Global Stocks and Naz, printing (-3.1%) ; (-2.2%) ; (-2.0%), respectively. On a y/y basis the majority of global investments continue to remain in negative territory.